The "Hunger Games" star came to the aid of a juvenile in distress. Actress Jennifer Lawrence came to the aid of an unidentified woman who had collapsed near her Santa Monica home. She plays a heroine in the "Hunger Games" movie franchise and now actress Jennifer Lawrence has come to the aid of a person in need in real life. According to Santa Monica police, Lawrence was out walking her dog Monday when she noticed a young woman lying on her back on the sidewalk. Police told E! that they received a 911 call about a woman who had passed out, possibly from alcohol, outside an apartment complex. Although Lawrence was not the person who made the emergency call, authorities confirmed the 21-year-old actress stayed with the young woman until paramedics arrived. The Oscar-nominated star, wearing a black tank top and gray sweats got down on the ground with the woman while waiting, and spoke with police when they arrived on the scene. The woman was treated and then cleared to leave. 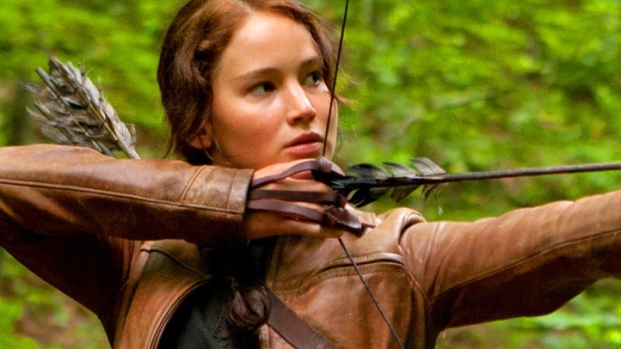 The star of "Hunger Games", Jennifer Lawrence, talks about her role as Katniss Everdeen. Thanks to her selfless act, Lawrence now joins the ranks of actors such as Ryan Gosling, Dustin Hoffman and Patrick Dempsey, who have made headlines for their everyday heroic deeds. Lawrence will reprise her role of Katniss Everdeen alongside costars Liam Hemsworth and Josh Hutcherson in the next installment in the "Hunger Games" trilogy ("Hunger Games: Catching Fire"), which is set to begin filming later this year.